Weight Loss Solutions Sunshine Coast surgeon Dr James Askew provides consultations at our Caboolture bariatric clinic. Dr James Askew consults for weight loss surgery at Caboolture, for the North Brisbane area, including Bribie Island. He performs your procedure at the nearby Sunshine Coast University Private Hospital (SCUPH) in Birtinya. 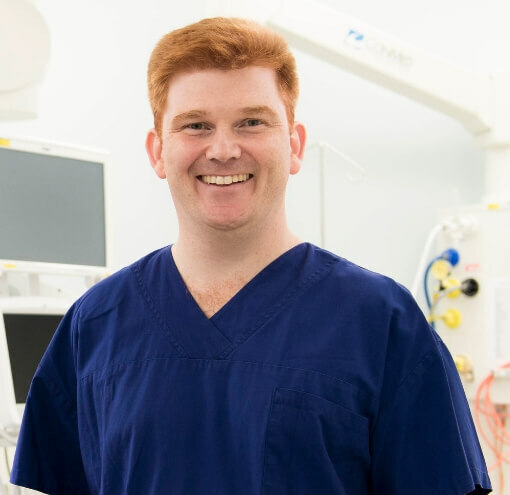 Through his Caboolture bariatric clinic, James can offer you the full range of surgical services These include gastric sleeve, gastric bypass and gastric band surgery. He also offers the non-surgical Orbera Intragastric balloon procedure. This means together, you can choose the best procedure for your individual needs. James is assisted in surgery by Dr Garth McLeod. This means you have the benefit of two experienced surgeons performing your procedure. After your surgery in Birtinya, James also provides access to surgical care 24-hours/7 days, and follow up consults in our Caboolture clinic. Our Caboolture clinic adhere to the shared philosophies of Weight Loss Solutions Sunshine Coast. This involves a team-based approach to surgery and comprehensive, integrated support for metabolic disease. If you are thinking about weight loss surgery, or want to find out a little more about your options, why not make a time. James is happy to have a no-obligation consultation with you. Call his team below to make an appointment. Visit the Birtinya clinic page for more information.